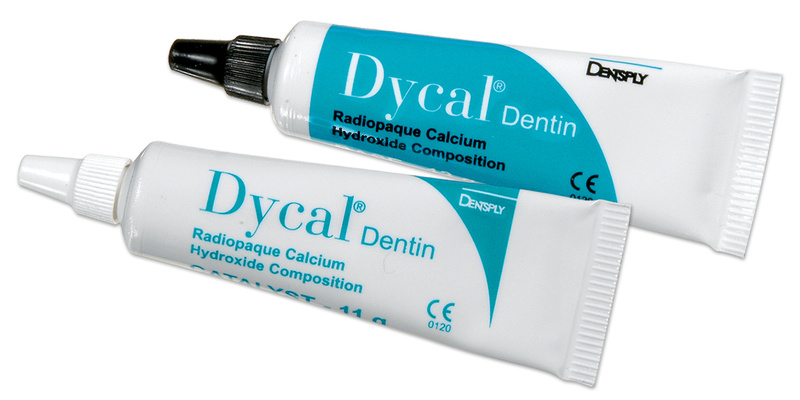 Radiopaque calcium hydroxide composition is a rigid, self-setting material useful in pulp-capping, and as a protective base/liner under dental filling materials. Quick set. Dentin shade blends with dentin, ivory shade is easily visible. Contains: 1 x 13g base, 1 x 11g catalyst, mixing pad. Contains: 1 x 13g base, 1 x 11g catalyst, mixing pad, mixing/placement instrument. Contains: 6 x 13g base, 6 x 11g catalyst, 4 mixing pads.